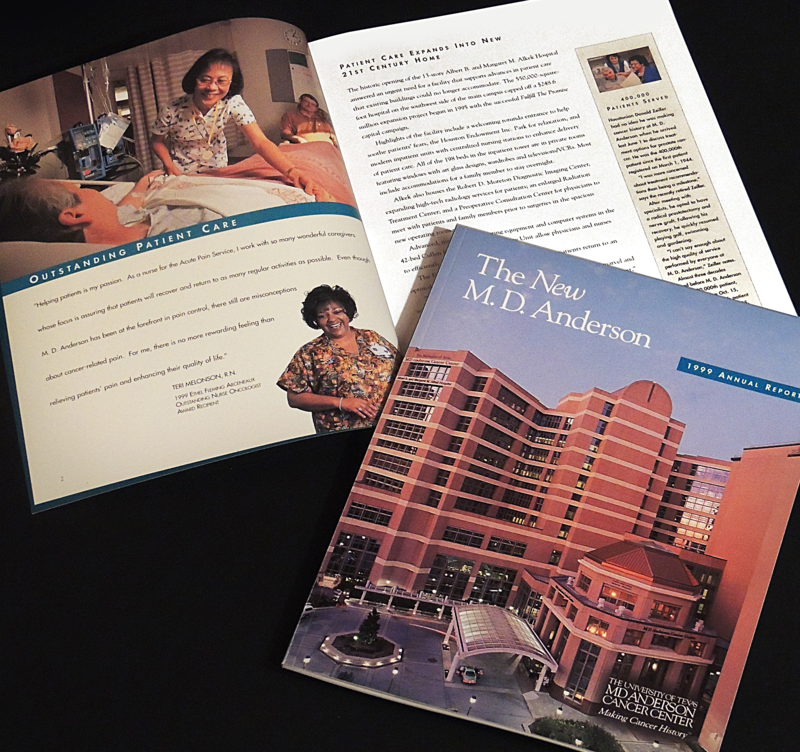 MD Anderson had more than 8,000 employees in multiple departments and needed a cohesive look for the hospital. We formed a team of specialized associates and met with their department heads to determine what was necessary to solve the overall image problem. We took the existing logo and developed detailed graphic and editorial standards, which were produced in print and digital form for use on their intranet. Once the guidelines were implemented, it was much easier to produce items such as brochures, posters and advertising campaigns. 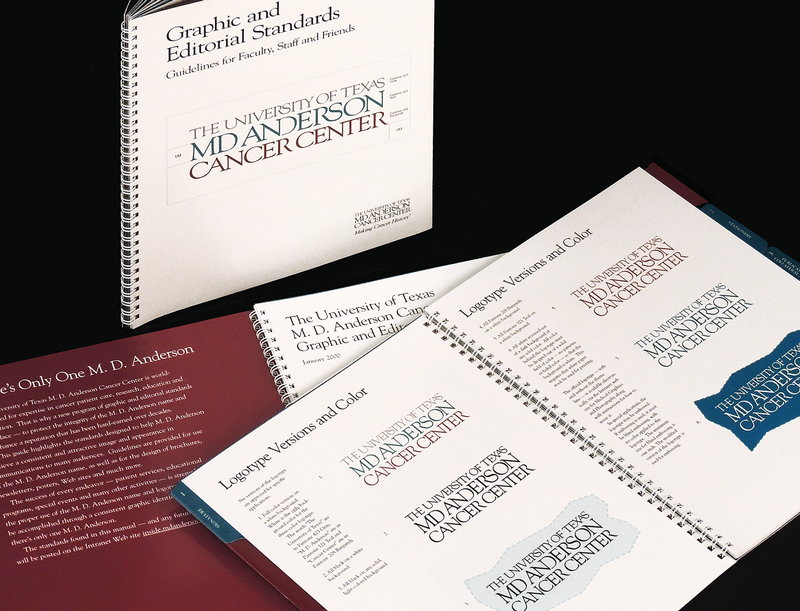 MD Anderson had a quarterly magazine in which the year’s last issue included an annual review. 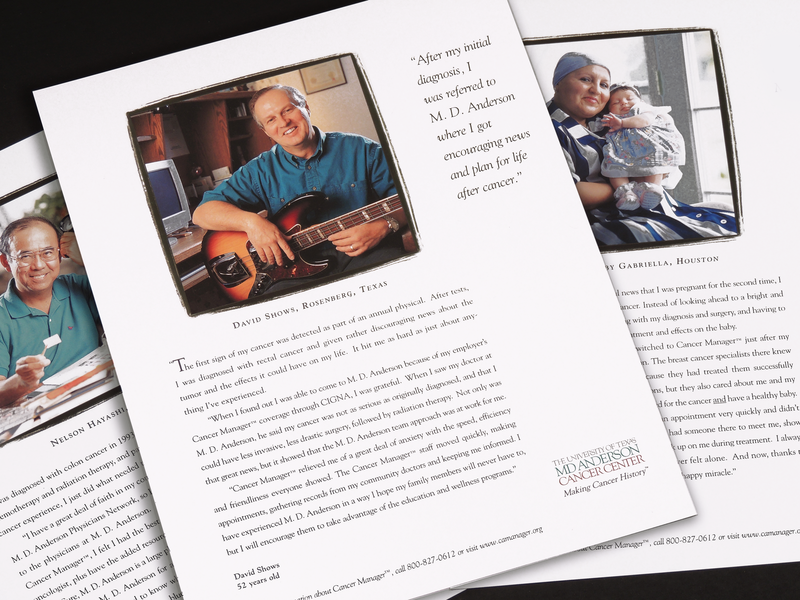 The communications department wanted a more formal annual report to use for development purposes and asked us to design its first stand alone report. 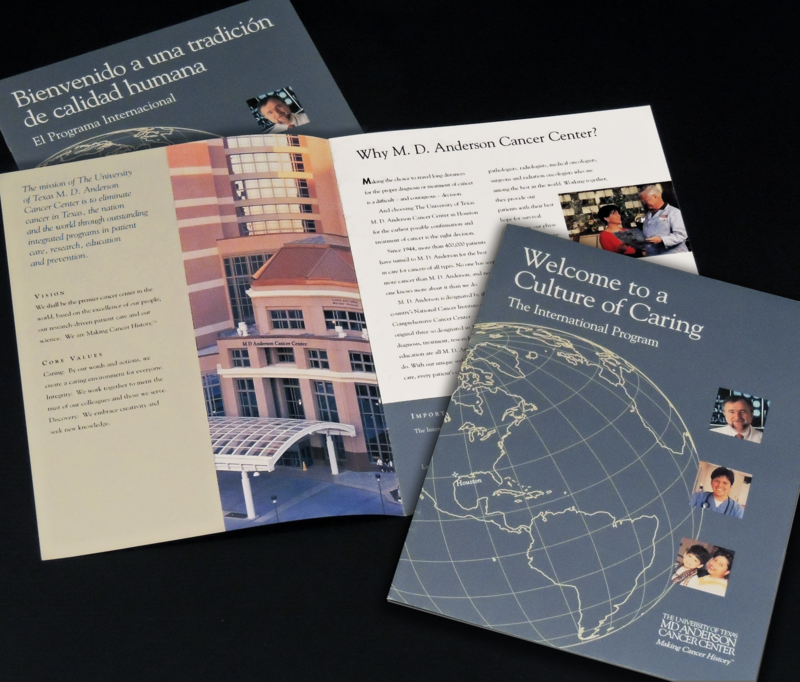 The MD Anderson International Program asked Denning & Denning to design and coordinate Culture of Caring brochures that informed the world about their cancer care. After the English version was produced, they were translated into Spanish, Portuguese and Arabic.